A grand jury indicted Rick Perry on Friday, alleging he abused his power by threatening to veto funding for the state's anti-corruption unit unless Travis County DA Rosemary Lehmberg, who had pleaded guilty to drunk driving, stepped down. David L. Botsford, another legal counsel for Perry, described the grand jury’s indictment as a “political abuse of the court system” that had no legal basis. “I am outraged and appalled that the Grand Jury has taken this action, given the governor's constitutional right and duty to veto funding as he deems appropriate,” Botsford said in a statement released by Perry’s office. "The grand jury’s spoken that at least there’s probable cause to believe that he committed two crimes, two felony crimes," he said. Lehmberg, a Democrat, was sentenced to 45 days in jail but did not resign. 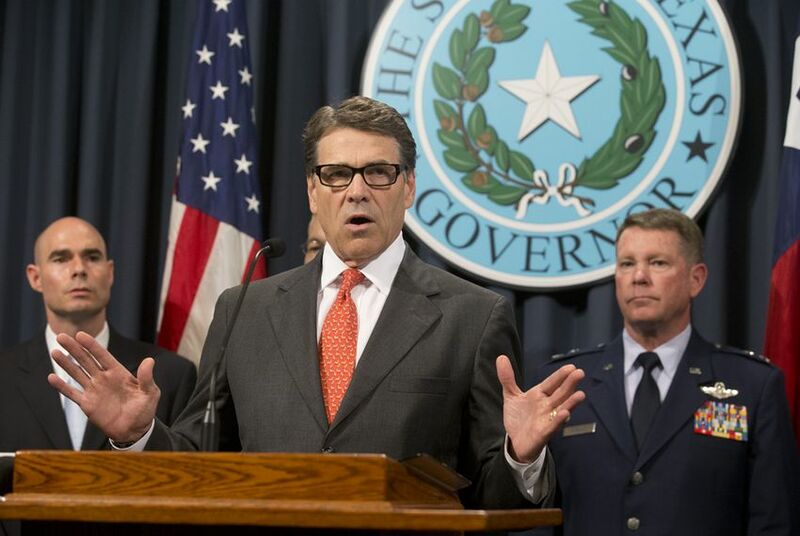 Perry made good on his pledge and vetoed the state budget’s funding line item for the unit. Though Perry has the authority to veto items in the budget, his critics said that this was done expressly for political purposes and is a crime. Perry’s office has repeatedly said that his veto was appropriate and that he violated no laws. "I think most reasonable-minded people are going to be scratching their heads wondering what in the world is wrong with a governor who has veto power on appropriations saying he thinks it’s inappropriate to fund a unit where the head of that unit admitted that they had committed a criminal act and then compounded it by being on a video acting in an abusive way," Munisteri said.